as that is the requirements of being nominated in The Rose d’Or . being nominated in The Rose d’Or is a prestige on it's own. and all the wonderful cast and crew of Dream High. Dream High 1 Fighhhtiiiing !!! one nominated from Asian Countries...the rest come from United Kingdom[mostly] , USA. Australia, Israel,Canada, Germany, Netherlands, Norway, Spain, Belgium, and Austria. Dream High is nominated in the YOUTH category with 2 other productions. 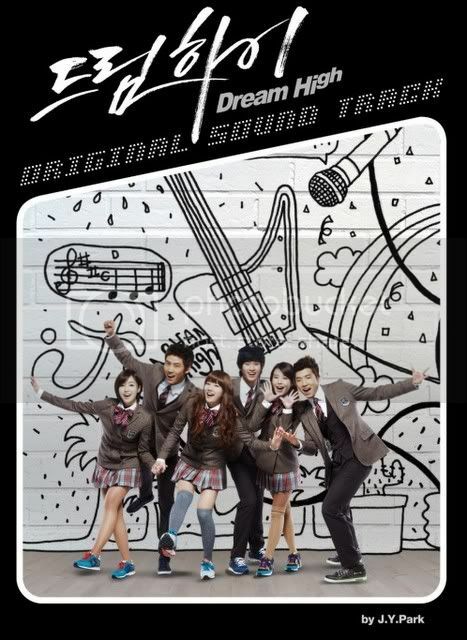 The best of Luck To dream High !!! Fiction or non-fiction programmes produced in content and style to entertain, inform and engage a young audience 12 to 16 years old. Youth is a completely new category at the Rose d’Or Festival and will be awarded for the first time in 2012. In 2010 the Youth and Children categories were combined. The Rose d’Or, international festival for entertainment television, was created in 1961 by Marcel Bezençon, then General Director Swiss Broadcasting Corporation (SRG-SSR). Its aim was to help European public broadcasters to fill the gaps in their summer schedules with cost effective, good quality programmes. In 2004 the Festival moved from Lake Geneva to Lake Lucerne. Marcel Bezençon’s idea was simple: Why not put together a really good international variety programme in Switzerland, then swap it for productions from other countries within the framework of a competition? and reflect trends and developments in the global business. In 2009, it was taken over by the Swiss multinational media company Ringier. Barbara Streisand, The Muppet Show, Mikhail Baryshnikov, Liza Minnelli, Benny Hill, Monty Python, Cirque du Soleil, Julie Andrews, Mr Bean, Nigel Kennedy, Kurt Browning, Shirley Maclaine, and the list goes on. The Rose d’Or Festival will take place from 6 to 10 May 2012 in Lucerne. For the first time in its 50-year history, the Rose d'Or Festival was active in Asia with an official event on 28 February 2012 in Kuala Lumpur, Malaysia, at which the 36 nominated programmes in 12 categories were announced. In addition to the nominees announcement in a formal ceremony, the experts shared their thoughts on current trends and issues facing the industry in two panel discussions. Simultaneous events were held in London and Lucerne. Dream High 1 is in YOUTH category . An action-packed mystery and drama series for the whole family, Leonardo features a teenage Leonardo da Vinci and his friends and is set against the breath-taking backdrop of 15th century Florence. In Wing and a Prayer, Leonardo’s latest invention is ready for testing: a flying machine. It’s not just Leo putting himself in danger; Mac has double-crossed a shady merchant, Rizzo, who wants revenge. When Leo’s test flight fails and he crashes to the ground, Rizzo gives him an ultimatum. Leo’s got two days to deliver a working set of wings, or Mac will be the one to pay. In this episode hosts Christine Henning and Ralph Caspers take a relaxed approach to the «longest full moon in life» - adolescence - and give special advice to teens: What to do if you desperately want a tattoo but your mother won’t allow it? Problem solver Wolfman has some unusual ideas. Like for 15 year old Anna who should, as a self-experiment, speak up for poor people and thereby get some crazy ideas of her own. This show is about superstar hopefuls who enter into the fierce competition of the entertainment industry to get to the top. They all have flaws but draw on their talent and drive to overcome their shortcomings. While they receive the cold shoulder in the beginning, they work hard and turn naysayers into devoted supporters. The growth and rise of these «losers» will resonate with many young people and inspire hope. Following her father’s business failure, up-and-coming classical vocalist heroine ends up entering Kirin Arts High School after many twists and turns to discover the true world of music and dance. Hehehe...sorry so long I just wanted to brag LOL LOL !! Too bad it's not as good as the first, I wonder why...maybe too much music and not enuff drama ?